WASHINGTON — The basketball season has officially ended, which means an assuredly eventful offseason progress can begin. 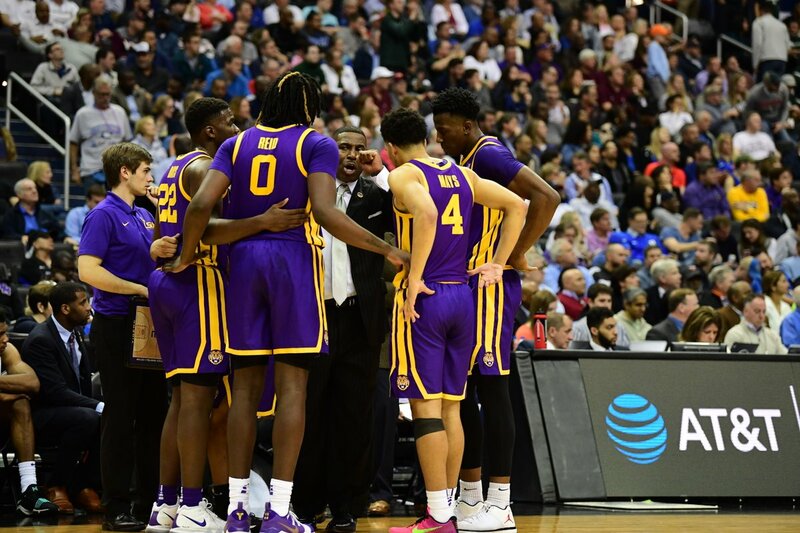 LSU and its athletes have a lot of work to do, questions to answer and decisions to make as the season can no longer serve as a distraction to what’s been following the Tigers off the court for nearly a month now. LSU suspended head coach Will Wade on Friday, March 8 after a report revealed a second FBI wiretapped conversation between the second-year head coach and convicted college basketball middleman Christian Dawkins, this time seemingly discussing improper benefits to a third party for LSU freshman guard Javonte Smart. This leaves the LSU basketball program in limbo until LSU officials either fire Wade or reinstate him as head coach. For the student-athletes, it’s more of a waiting game than anything else. Wade is expected to be subpoenaed by the defense in a second college basketball federal trial set to begin April 22. Should LSU decide to wait until then to make a decision, players will be put in a tough spot in deciding their futures. 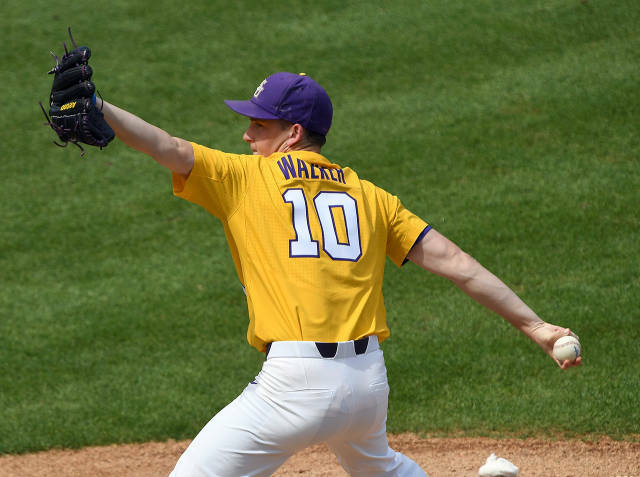 If LSU decides to part ways with Wade, current LSU athletes and signees will likely have an opportunity to transfer without penalty of sitting out a year and signees will likely have releases granted if requested, which could put the Tigers in a tough spot moving forward. One of the more intriguing cases in this regard will be Smart, the player in the middle of this whirlwind who has just been “focusing on basketball” since his name entered the circus of scandals surrounding the program. After LSU’s season-ending 80-63 loss to Michigan State, Smart gave the most direct response in regard to his future with the program. When asked if he planned on returning next season his response was short but to the point. “Yeah, probably so,” Smart said. Naz Reid and Tremont Waters both provided more political answers, saying they haven’t made a decision regarding their future yet. Waters spend his offseason last year testing the waters at the NBA level, and he’s likely to do the same again this season. ESPN currently lists Waters as the No. 59 ranked prospective player to potentially enter the draft, putting him right on the bubble of draftable players. Reid gave a similar answer, saying there’s a lot to consider before making such a decision. He currently ranks No. 48 on ESPN’s list of potential draft prospects, and he’s a guy a guy with a high ceiling with his scoring ability and size. As of now, Reid said he hasn’t given the question of whether he will stay or go much thought. Please extend our thanks to the LSU administrators who decided to sabotage LSU’s season by suspending Coach Wade. It means we don’t have to worry about how well we will play in the Final Four, unlike the Auburn administration who, even though similar charges against a repeat offender like Bruce Pearl have been there for over a year, decided to wait until after the trial to make a decision, thereby dooming their fans to having to experience the joys of the Final Four. EXACTLY! SOMEONE PAID DESOUZA TO ATTEND KANSAS BY OFFERING A PAYMENT OF $20,000 YET THE NCAA DECIDES NEITHER SELF NOR KANSAS KNEW? SERIOUSLY? WHO ELSE HAS AN INTEREST IN GETTING A GOOD PLAYER TO A CERTAIN SCHOOL? CALIPARI FIRED FOR MISCONDUCT BY 2 UNIVERSITIES; PEARL SO CROOKED, HE’S SUSPENDED FROM COACHING. GEEZ. I support Joe Alleva’s decision to suspend Will Wade. When your employee refuses to even meet with you and says it’s on the advice of his lawyer, you don’t have a choice. I know I’d be fired immediately from my job – not just suspended – if I refused to meet with my boss. As to sabotaging LSU’s chances, we were a #3 seed, which means we were expected to win two games, then lose to #2, which is what we did. I don’t think Wade would have made a 17-point difference against Michigan State. Just because Auburn decided to go with slime bag Pearl doesn’t mean LSU should follow suit. 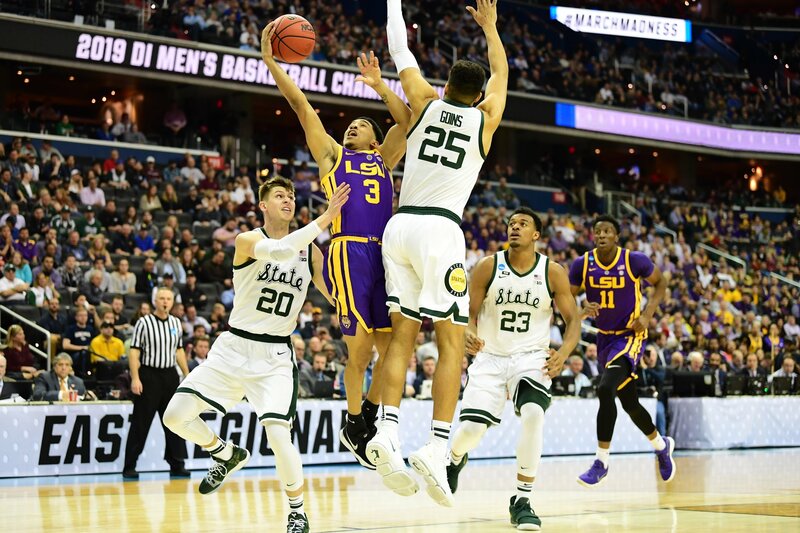 If anyone “sabotaged” LSU’s season, it was Will Wade (or Yahoo for releasing secret tapes), not Joe Alleva.